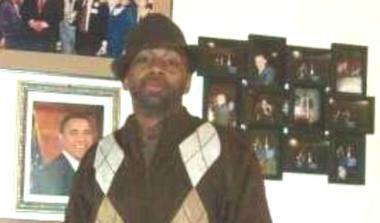 Ornette Massey, 38, was fatally shot Sept. 12 in the 5600 block of South Michigan Avenue. WASHINGTON PARK —Though Ornette Massey had a long criminal history before being killed in a Sept. 12 shooting that also injured his older brother, family members say he was the bedrock of their lives. Shortly before the shooting, the 38-year-old Ornette Massey had gotten haircut and met up with another brother, Yarii Massey, at the intersection of East 56th Street and South Michigan Avenue, his younger sister said. An unknown man approached the brothers and began shooting at them around 6:30 p.m., according to Chicago police. Ornette Massey was shot multiple times in the back and was pronounced dead a half hour later at Stroger Hospital, according to the Cook County medical examiner's office. His brother was also shot and was sent to Northwestern Memorial Hospital with serious injuries. The attack came months after another shooting near the same intersection, when he was shot in the leg. Police haven’t caught suspects in either shooting, according to Massey’s family. The slain man had a history of run-ins with the law. In 2000, he was sentenced to four years in prison for the possession of less than 100 grams of cocaine. That same year he was found not guilty of first-degree murder. In 2004, charges were dropped against accusing him for manufacturing and delivering heroin. Still, while family members say Ornette Massey had once participated in street life, he wasn’t an active gang member, especially in recent years. Ornette Massey went by the nickname of “Juicy” because he was a fat baby. The third of four siblings, he grew thin and took over the caretaker role for his sister Lakia, who is nine years younger, and his two daughters, who are now adults. “He was a family man,” his daughter, Taynarvis Massey, said. Prior to his death, he was studying accounting at a local vocational school, according to family members. They said that was an important step for a man who despite his criminal issues looked out for his family and always had a way of making the best of any moment.